This statistic shows the educational attainment level of agency workers worldwide in 2016. 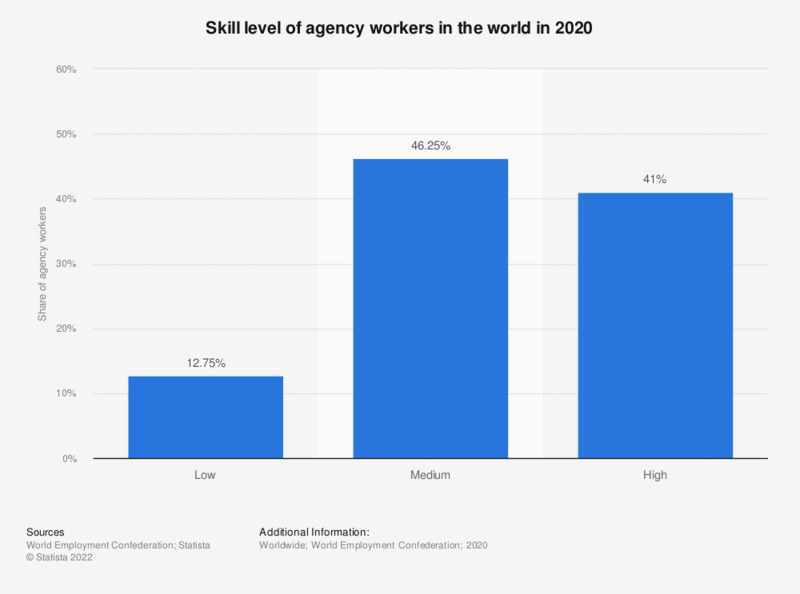 In 2016, 32 percent of agency workers worldwide had a low skill level. The source did not provide information on how skill levels were defined.